Marie Kondo isn’t a magician, she’s a designer. Designers, easily the most misunderstood of all artists, bring order to chaos in a fashion and style that channels their musings. The more fresh and unique the fashion and style of their designs, the more captivated an audience is by the designer. Marie Kondo clearly loves what she does, and Westerners are amazed by this because they see her as someone who is enthralled by cleaning, not someone who enjoys designing. Embattled by politics, revolution, and material fatigue, Western societies need her contagious enthusiasm in their feed right now. Her style is immersive and joyous; her methods effective. Again, Design: the most misunderstood art. Design is the delicious crust surrounding the career pie chart. Designers get a slice containing typographers, decorators, architects, experiential disciplines. Othe arts have a slice for everything from musicians to mimes. Then, a slice where organizers and coordinators live; design is thriving there more than ever, thanks to Marie Kondo. All other slices? Some are more artistic than others: doctors, lawyers, teachers, maids, politicians (especially presidents), and, well, everyone. Design is the one creative skill nearly all living beings (with or without opposable thumbs) possess. All life must organize, coordinate, and strategize every day. Is design the ultimate survival skill? Ask The Three Little Pigs. The more a person adds design to their skill, the more their love for their skill shows. As is typically the case near the end of a decade, societies search for a new paradigm. Kondo’s original book “Jinsei ga Tokimeki Katazuke no Maho” came to attention in Japan in 2010 and sold millions, launching a cleaning boom that made Kondo a celebrity. Now in 2019, “The Life-Changing Magic of Tidying Up: The Japanese Art of Decluttering and Organizing” is having another moment, supported by her Netflix show — and this time, it’s bonkers. Why, and how, has one well-meaning designer moved millions of people to purge, donate, and re-think concepts they’ve accepted their entire lives, such as how to fold a T-shirt? End-of-decade anxiety has Westerners looking for re-defining design answers to everything from open-space workplaces to personal ideological identity. YouTube channels catch views philosophizing about great awakenings: Is this a simulation? Are you in the matrix? “Gurus” bake pseudo-science into exotic spiritualism and captivate the Silicon Valley intelligentsia as they microdose with LSD and psilocybin. 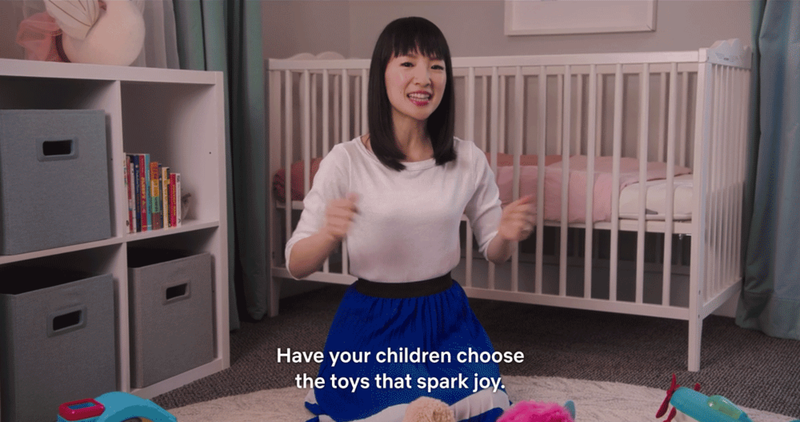 So the Western world welcomes Marie Kondo as a star, exactly what they need at the end of the decade. Netflix knows their audience wants answers, Amazon knows people are overstocked after nine holiday seasons, and Target knows the style of the decade is fully stale (they’ll squeeze out every last penny from their logo-thieving lifestyle line Magnolia Home, of course.) Most sweaters are dusty and ignored beside mismatched socks. Drawers are stuffed full with old phones and tangled dongles. And what the hell is in that box? as a few over-hyped tweeters have lazily charged. She’s a designer, and she looks at each of these issues as a designer does. She understands the decorative and cognitive value of negative space. Where design is a message, each component is either necessary or a potential distraction. She sees clutter as an impediment to a signal our very being wishes to receive every day. She solves each of these problems elegantly and with her own idiosyncratic solutions. So as you approach her books and her shows, pay particular attention to the joy Marie Kondo enjoys — not for material toys, and not for cleaning, but for designing a canvas where each of our belongings, whatever they may be, are able to communicate their value clearly and achieve their greater purpose. Realize that everyone is a designer of some sort. Whether fashioning personal style, the perfect gift for a friend, the method of a technique at work, each of us composes their own personal signature in many unique ways every day. Find that joy for designing and apply it joyfully. The material West, like the universe, is a vacuum. If empty space opens up, it quickly fills with Target’s new line of Marie Kondo branded home and office organization merchandise. And is Amazon running a MUJI sale? That’s a joke. But not really — we’ve got to start 2020 off on the right foot and if we don’t have cute, inspirational desk organizers we’re doomed. Or so institutionalized materialism would have society think. 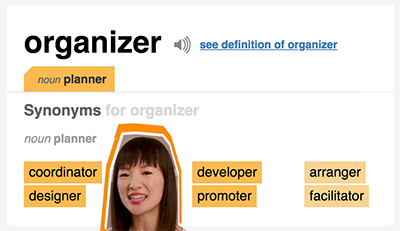 FAANG (Facebook, Apple, Amazon, Netflix, and Google) will work hard to invert and profit from Marie Kondo’s effects, but designers and creative minds paying close attention can weaponize her lesson and continue to create positive tides of change. There’s a lot to learn from Kondo’s appeal: This is a moment for stretching the possibilities. People are searching for answers, for relief, and for change. Solutions in 2019 will be immersive, joyous, and effective. Dream bigger: Infusions of wonder, complete departures from the status quo, challenges to institutional intelligence, it’s all possible. Because if one tidy Japanese rebel can get people to speak out loud to inanimate objects, you’re looking at a society ready to accept change. Now someone, please, get out there and design a better 2020. From the looks of it, there’s going to be a pretty big mess to clean up. If you read this far or think this post might help someone you know — consider sharing it to help spread this piece. Let people know everyone is a designer. Plus, every time you clap a mystic guru gets its wings. Kevin Landwehr is a design generalist executing brand/visual efforts of every kind for clients of every size, shape, and type. He took a year off to design a sweet San Francisco brewery and is a big fan of the best tortillas in New York.